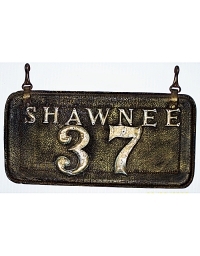 Cities and towns in Oklahoma were prolific users of local license plates after 1910, but very few were used during the decade of this study (1901-’10). 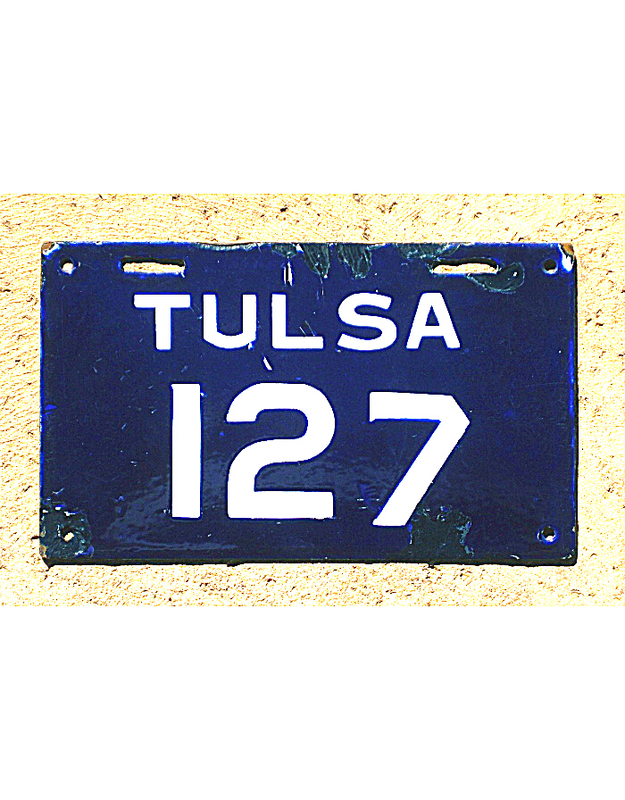 In fact, only Oklahoma City is known to have used license plates as early as 1907. 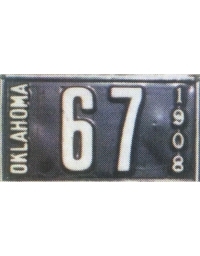 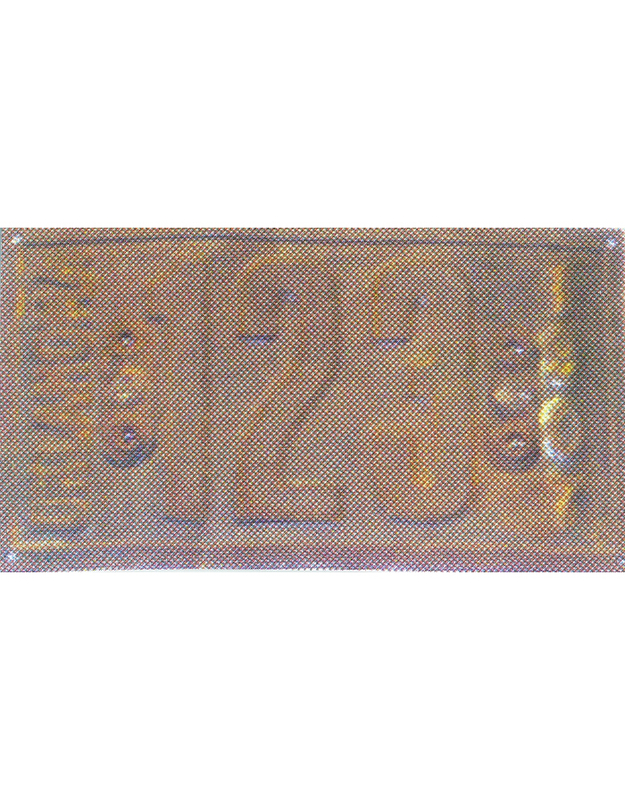 That city’s presumed first-year license plate was officially issued, dated ‘1907’, and included the designation “OKLAHOMA” vertically down the left side of the tag. 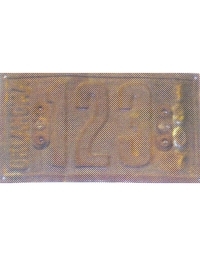 Paint colors are not known as only one surface-rusted example survives in a collection today. 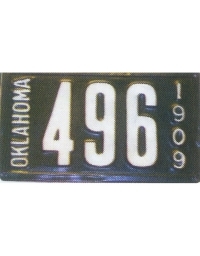 Oklahoma City issued new plates each year through 1915. Tulsa also had an undated official porcelain license plate at least by 1910, and continued providing motorists annual auto tags through 1915. 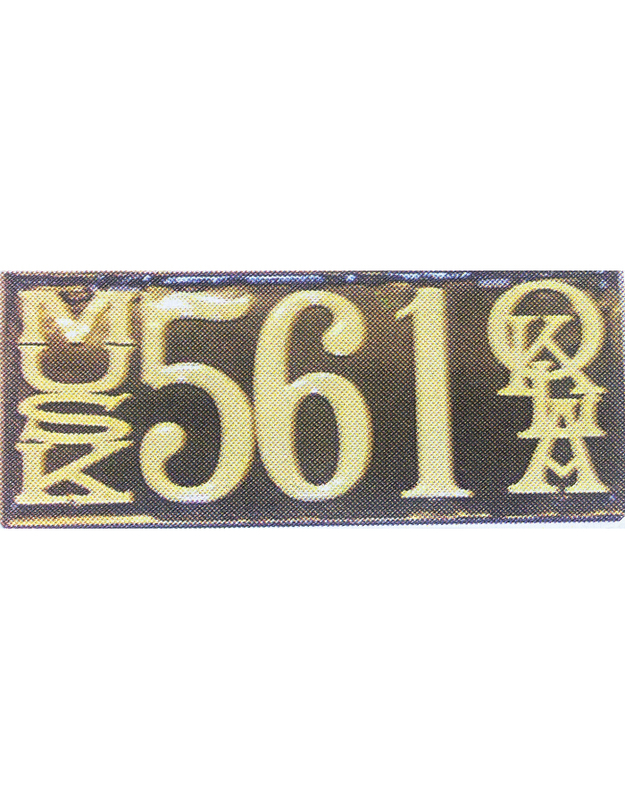 Muskogee began registering autos in 1909 with an undated tag reading “MUSK” and “OKLA” on each side, and a porcelain issue with an “M” inside a circle. 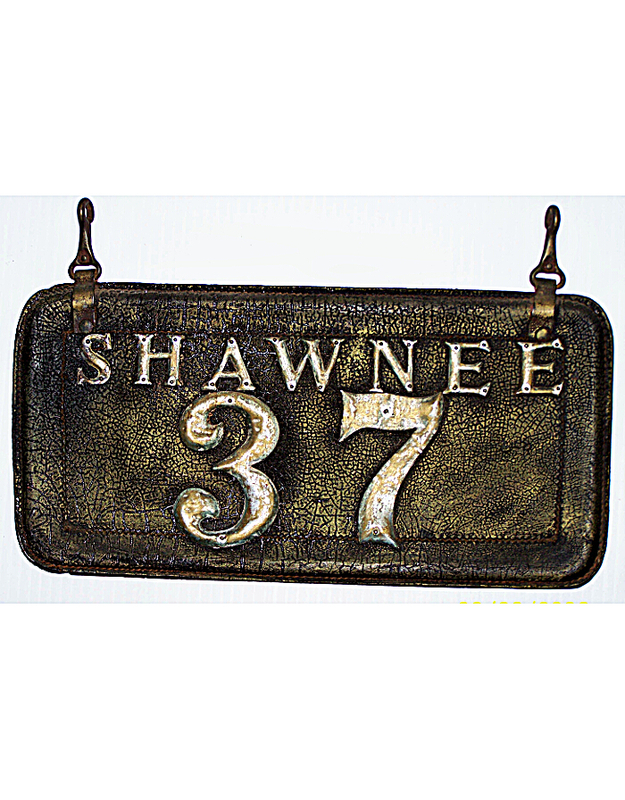 Shawnee required owners to display registration numbers on a leather pad with the town name spelled out in full. 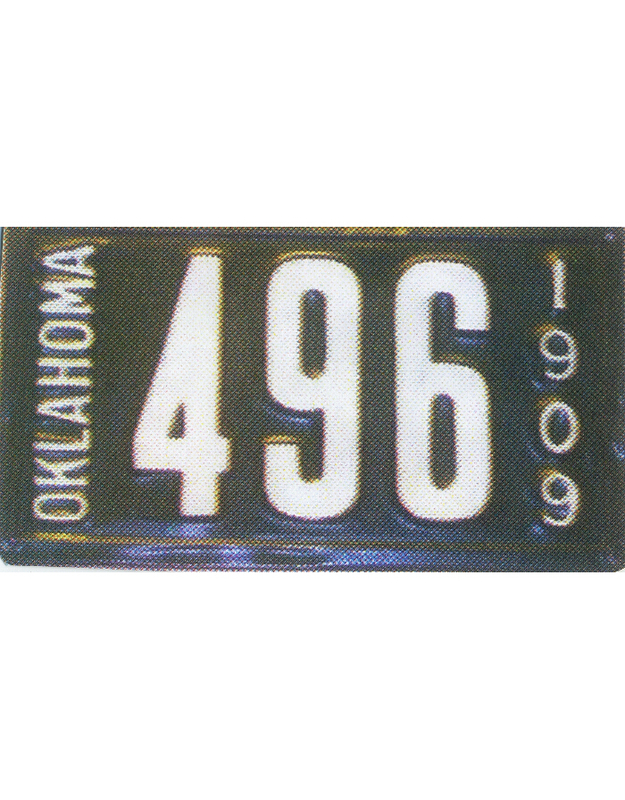 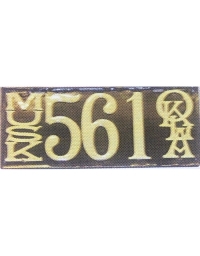 There is an “OKLA”-designated leather license plate known in a collection, but because of its very high registration number, its use and origination is not known. The State of Oklahoma began issuing uniform license plates to all motorists statewide in late-1915, and local licenses were declared invalid.